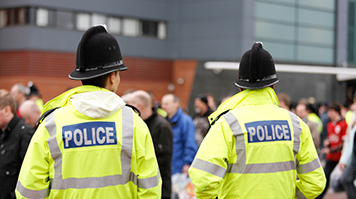 The general public know more about issues critical to policing than the police themselves, according to new research conducted by an academic at London South Bank University (LSBU). Researchers examined misconceptions of legal issues by law enforcement officers compared to the general public’s knowledge on these topics. The research is the very first study to look at these misconceptions in the UK. Dr Julia Shaw, Senior Lecturer at LSBU, and Parole Officer Chloe Chaplin provided 44 police officers and 56 members of the general public questions on several topics relevant to modern policing. The study – published in the Journal of Police and Criminal Psychology – asked participants to complete an online questionnaire comprised of 50 true and false items. The questions covered a range of legal topics including police procedures, dealing with mentally ill people, and eyewitness memory. Participants were asked to rate their confidence in each of their answers on a 5-point scale from one being the most confident to five being the least confident. Despite direct involvement and relevant experience with the subject matter, the study found that police got more of their answers incorrect than the general public. Police got 39% of their answers wrong, whilst members of the public made only 37% of errors. However, police were found to be 4% more confident in their responses than the public even when wrong. Dr Julia Shaw said: “Overconfidence is a common characteristic in professional industries, as there is an assumption by professionals that they must know more about their own topics than outsiders. However, when applied to policing, this can have severe consequences for our justice system. "This research shows that British police do not know enough about things like how eyewitness memory works, how to effectively question suspects, and what kinds of services offenders have access to.